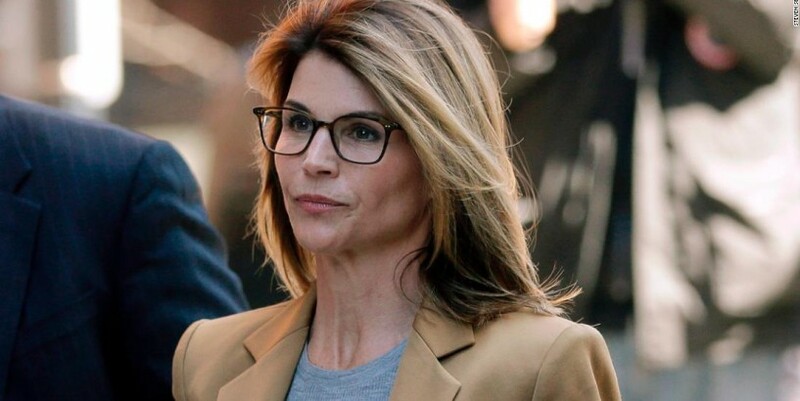 (CNN) Actress Lori Loughlin and her husband, fashion designer Mossimo Giannulli, are "not ready" to enter a plea for their alleged role in the college admissions scandal, a source close to the actress said. "They are not ready to make a plea like Felicity (Huffman) and go down that road. They are hoping to just let this play out in the judicial system. They are innocent until proven guilty," a source close to Loughlin told CNN. "They wish the media would just leave them alone. They feel like there is no story and don't understand why the press keep hounding them and following Lori to yoga." The couple appeared last week in federal court in Boston but have not publicly indicated how they plan to plead. Actress Felicity Huffman and others have agreed to plead guilty in the case. Loughlin and Giannulli are accused of paying $500,000 to a fake charity to get their two daughters into the University of Southern California as crew recruits, even though the daughters did not participate in the sport. Read More Felicity Huffman and Lori Loughlin are dealing with college cheating scandal in different ways They have been charged with conspiracy to commit mail fraud and an additional charge of money laundering. Earlier this week, they were also accused of conspiring to launder bribes and other payments through a charity run by Rick Singer, the mastermind of the scam, as well as transferring money into the United States to promote the fraud, prosecutors said. The charges of conspiracy to commit mail and wire fraud are punishable by a maximum 20 years in prison, three years of supervised release and a fine of $250,000 or twice the gross gain or loss, whichever is greater. The charge of conspiracy to commit money laundering is punishable by a maximum sentence of 20 years in prison, according to federal officials. The couple are among 33 parents accused of using their wealth to cheat on standardized tests for their children, and bribe college administrators and coaches who had major clout when it came to admissions. A friend of Olivia Jade, the couple's 19-year-old daughter, said she is "devastated" by the allegations against her parents. "Olivia is devastated and completely embarrassed. She feels like she's lost nearly all of her friends because of this. She's barely speaking to her parents," the friend who has been in communication with her told CNN. "Her best friends are doing everything they can, but she doesn't even want to see anyone right now," the source added. "Olivia has been staying off social media because she's gotten so much hate." Olivia Jade is a social media influencer with more than 1.4 million followers on Instagram and 1.9 million subscribers on YouTube. Several brands, including Sephora, have ended partnerships with her following news of the college admissions investigation.